Call us now to speak to our team, or have a look at our website for our latest products. We can deliver an industrial skip at a time that suits you and arrange a pickup time. We’ll then take your skip to our tipping facility. We care about the environment, so we’ll try and recycle any of your waste, too.  We offer fast delivery, with same and next day options if you need a skip quickly. We’re also upfront about our prices. You won’t find any hidden costs or fees, and we’ll provide you with a low price. 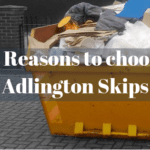 If you’re moving home or carrying out a renovation project, a skip will provide you with a multitude of benefits. Our domestic skips come in various sizes, and we have roll on and roll off containers that you can use to store waste and excess materials before the skip is taken to our tipping facility. We pride ourselves on our customer service and offer a number of ways you can get in touch with a member of our team. 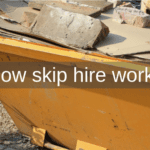 To arrange skip hire, just call us today or click on the “contact us” button to speak to one of our staff. We offer speedy delivery, too. If you’re in a rush and need a skip quickly, opt for our same day or next day delivery option. We can also deliver your skip at the weekend. Contact us now to get started. We look forward to hearing from you! 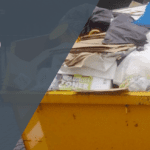 Our commercial skip hire service is perfect for businesses that need a convenient waste management solution but don’t want the stress of having to dispose of waste themselves. Our team have a wide range of commercial skips that you can use to store waste materials and products on your business premises. We’ll deliver your skip to your location and pick it up for you when it’s full. When we take your waste to our tipping facility, we’ll try to recycle as much waste as we can. We’ll also help you dispose of waste, regardless of how much rubbish you have. Our credentials and experience make us your top choice for commercial waste removal. We specialise in a range of skips, including enclosed units and compactor bins. For more about our services or to arrange skip hire, just call us or click on the “contact us” page.